"WHEN the religion formerly received is rent by discords," remarks Bacon in his subtle essay on the "Vicissitudes of Things," "and when the holiness of the professors of religion is decayed and full of scandal, and withal the times be stupid, ignorant, and barbarous, you may doubt the springing up of a new sect; if then also there should arise any extravagant and strange spirit to make himself author thereof. If a new sect have not two properties, fear it not, for it will not spread: the one is the supplanting, or the opposing of authority established—for nothing is more popular than that; the other is the giving licence to pleasures and a voluptuous life: for as for speculative heresies (such as were in ancient times the Arians, and now the Arminians), though they work mightily upon men's wits, they do not produce any great alteration in States, except it be by the help of civil occasions. There be three manners of plantations of new sects: by the power of signs and miracles; by the eloquence and wisdom of speech and persuasion; and by the sword. For martyrdoms, I reckon them amongst miracles, because they seem to exceed the strength of human nature; and I may do the like of superlative and admirable holiness of life." So far as his range of knowledge extended, Bacon's remarks are true. 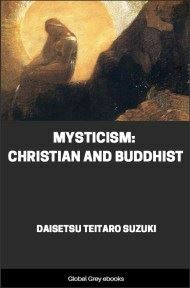 But when we attempt to apply them to the history of Buddhism, we find that they need considerable qualification. Buddhism arose in an age when "the holiness of the professors of religion," the influence of the Brahman hierarchy in India, was "decayed and full of scandal." But the times, far from being "stupid, ignorant, and barbarous," were full of eager intellectual and moral activity; on all sides ancient doctrines were being reaffirmed by their professors and assailed by critics, while new systems of thought were rising everywhere. The Buddha. himself was not an "extravagant and strange spirit," but a man whose thought in essentials was thoroughly in harmony with the ideas of Hinduism, and whose character fulfilled a Hindu ideal. His Church did indeed endeavour to supplant the authority of the Brahmans; but it sought to attain this end neither by "the giving licence to pleasures and a voluptuous life," nor by the sword. Its marvellous success was clue to "the eloquence and wisdom of speech and persuasion" and to "the superlative and admirable holiness of life" of the Buddha. About a hundred miles north from Benares, on the border of Nepal, where the plain of the Ganges begins to rise to the uplands at the edge of the mighty Himalayas, lies a little region which was once the home of the Śākyas, a class of Kshatriyas, or men of the warrior caste. To Suddhodana of Kapila-vastu, a nobleman of the Gautama family of this tribe, was born about 660 B.C. a. son Siddhārtha. When he grew up Siddhārtha likewise married and begot a son, Rāhula, by name. 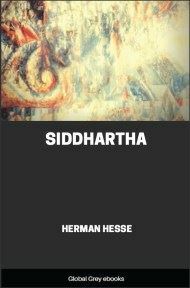 And then, when he was about twenty-nine years of age, as tradition relates, Siddhārtha became weary of the world and the flesh. The ghastly riddle of Life—Life with its endless vicissitudes of phantom pleasure and ever-renewed pain—was ceaselessly pressing itself upon him, as it has pressed itself upon so many thousands of other Hindus, and he could find no rest in his father's home. So he left the world, to become a wandering beggar-student, in the hope of finding the key to the great mystery in the teachings of some master of philosophic lore. But none of the teachers whom he met could satisfy the hunger of his soul, and the severest mortification of the flesh brought him no light. the pessimistic idea of Karma, and the Saṃsāra, "works" and "wandering." According to the usual Indian creed, the Universe is tenanted by a countless number of souls in various degrees of elevation; and each of them must pass through an endless number of births and deaths in the most various kinds of bodies. Every moment of experience that each soul undergoes in each incarnation is the direct result of an act performed in a former birth or later, and in its turn bears fruit in a future experience, thus forming a series of sorrows without beginning and without end. For life, however pleasant it may seem, is in reality but a long illusive agony, from which only the few escape who by their perfect spiritual insight win to identity with the transcendental Being, Brahma. Now the Buddha, according to the ancient tradition of the Pali Canon, dissented from this teaching on one very important point. He denied that there is a soul in the individual, and that there is a God, or Supreme Being, working in the manifold phenomena of the universe. Of course he believed in gods: no Hindu has ever seriously called them into question; but the gods, according to him, differed only in degree from mankind, and neither class possessed that permanent centre of thought, that unchanging identity of consciousness, which we call "soul" or "self." Our thoughts are never quite the same from second to second; our mental life is only a series of causally connected instants of consciousness. By this denial the Buddha thought that he could more readily remove the moral and intellectual weakness of humanity which is founded upon the conception "I am"; for if there is no real subject of thought, no "soul" or "self," it cane of predicate its own existence, and therefore cannot conceive selfish desire. And desire is the root of embodied life, and therefore of all evil.